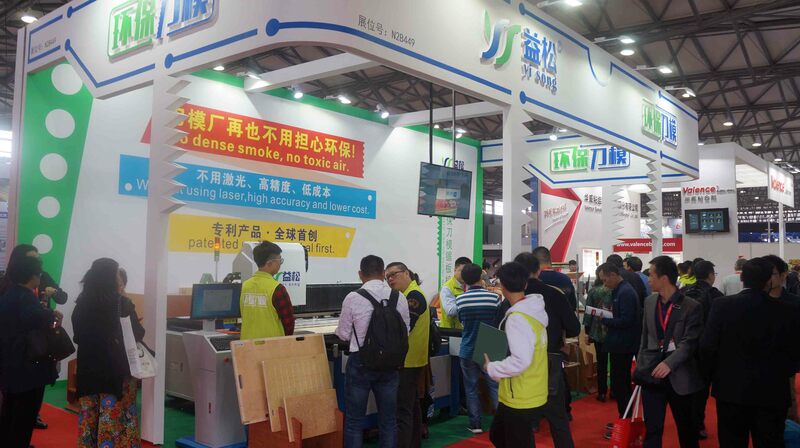 On October, 24th, All in Print China 2018 kicked off at Shanghai New International Expo Center (SNIEC). Lots of manufacturers for printing & packaging solutions participated and showed their machines during exhibition. Many customers from all over the world attended this fair. 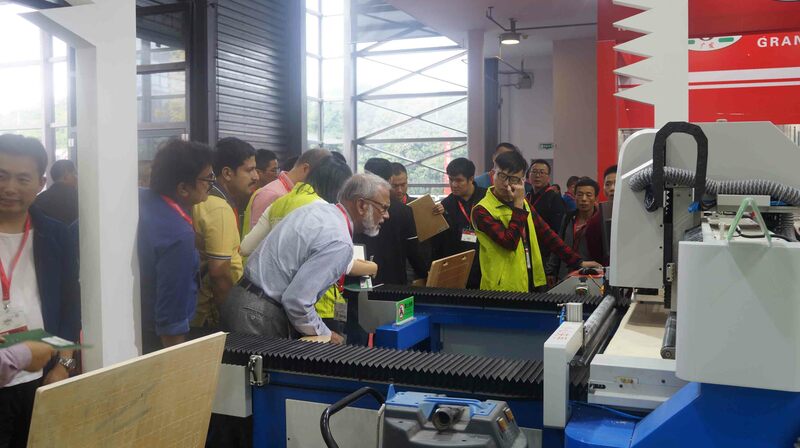 Dongguan Yisong company showed its automatic die sawing machine for flat die making with 2 machine models, one for plywood cutting and the other for PVC board cutting. Our machine attracted customers' attention. 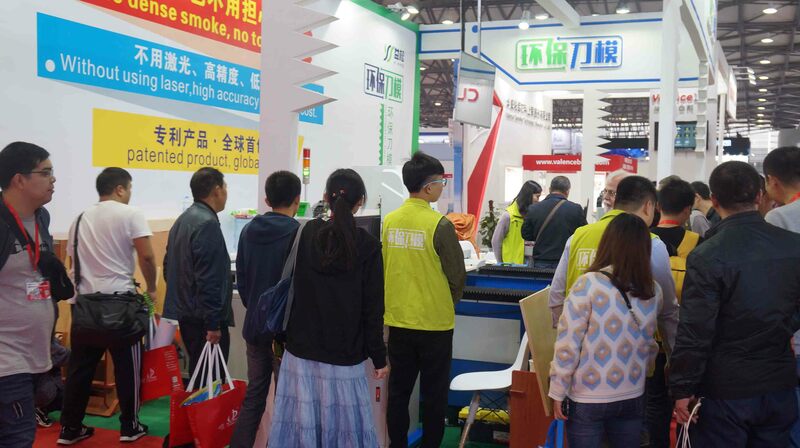 Both domestic and oversea visitors are very interested in our automatic die board sawing machine. They were really interested in our new technology and amazing that our company had overcame lots of tech difficulties and developed the machine successfully. Except for eco-friendly processing way & much less machine running cost, Yisong automatic die sawing machine can also handle die board with much more tight tolerance. 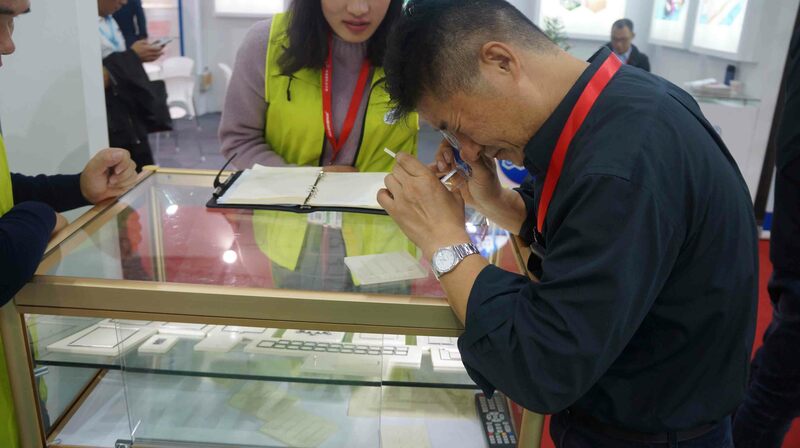 One of exhibition customers checked our bakelite die sample very carefully with special measuring tool, he was much satisfied about the cutting precision of the bakelite die, which may be less than 0.05 mm. The exhibition is successful, we received lots of pretty feedback from customers. Now there are more than 10 domestic die making companies are talking with us regarding using our machine.